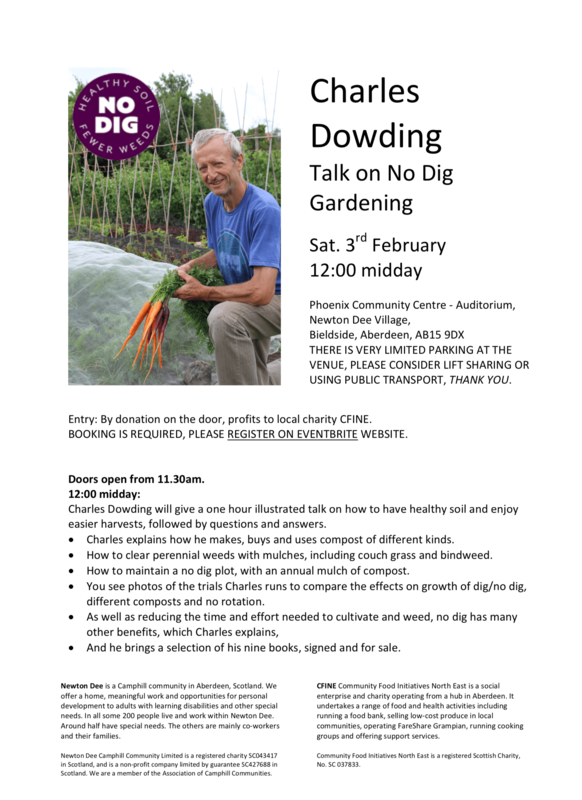 Charles Dowding is coming to give a talk at the Phoenix Community Centre at Newton Dee Village on Saturday 3 February. Many plotters will be aware that Charles has practised his, ‘no dig method’ of growing vegetables for well over thirty years now. In 2013 he moved to a derelict smallholding of one-fifth of an acre and very quickly transformed it into a productive vegetable garden. He documented his efforts on a popular YouTube Channel (he has nearly 50,000 subscribers) and in a series of well-received books. This link will take you to the Eventbrite Website to make reservations.